Happy Friday to you all! As we prepare for the Thanksgiving Holiday, do you feel life getting a little more stressful? I sure do, but I think I found a way to ward of the evil spirits of stress, frustration and anxiety. If you will allow me, I’ll share. Last night, PC took me to the grocery store to pick up a few items for my son Cole’s 16th birthday. Needless to say – Festival Foods was a madhouse filled with people shopping for their Thanksgiving Feasts. Using my shopping cart to cover my Offensive Line, I gingerly tried to lug my orthopedic boot through the aisles. Women were yelling in their cell phones about whether to serve turkey or ham. Young children were terrorizing their parents by playing hide & seek in the produce section. Most people were hurried to jump in the shortest line – damning every person in the way. Calling the store a war zone just about captures the atmosphere. PC ran interference for me so I could grab only the necessities for Cole’s Birthday dinner and his Turtle Cheesecake birthday cake. He unloaded my cart for me at the checkout, and he went to pull the car up to the curb. He kept me safe while I tried to survive a battle that is hard to fight with two good feet, and I only have one working for me right now. Watching PC help me, I started to think about the sweet little things PC and I do for each other to make each day a little sunnier than the last. I would love to share an example with you, friends, with the hope that you also get the opportunity to appreciate the little things. The best little thing that PC did for me this week was to come home. He has season tickets for the local college basketball team – a tradition he has shared with his parents for many years before he met me. It is their ritual, and Ma and Pa love being able to spend this time with their oldest son. Wednesday night, PC went to the game while Cole and I hung out at home. I had planned to watch a favorite show, Revenge, while PC was at the game. I turned the channel to ABC at 9:00. PC came through the door just in time to hear the theme song. He rushed in and sat with me to watch the show. When I asked PC if UW Green Bay won the basketball game, he told me he left with 5 minutes still on the clock. He likes watching Revenge with me. “Wow”, I thought to myself. I really did find a gem, and he really does love me. I know that this was such a small gesture, but it has a huge impact. Imagine having someone think you are important enough to them that they would leave before the end of a game. Saying thank you and seeing his smile simply eased my stress away. 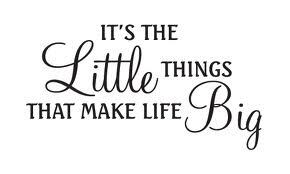 I believe that I often overlook those little things. I know that people in my life do those sorts of things often for me. I need to appreciate the little things more. My goal is to remember to acknowledge and thank people – whether for an intentional act of kindness or simply some spur of the moment good deed. I need to just say thank you. It goes a long way. And friends, if you are looking for a little something special to do for your special someone, I pack lunch for PC every day. He loves it. This entry was posted in Friendship, Holiday Stress, Life Lessons, Marriage, Relationships, Romance and tagged Advice, dating, Love, marriage, Stress, Thank you by Master Toad Kisser. Bookmark the permalink. Great post! Appreciation and acknowledgement go a long way, all packaged up in two little words. They really do, Nelle. Those two little words make both the giver and the receiver both feel a little better.